When it doesn't relate to fashion, and it doesn't relate to style, and it doesn't include any interviews...it comes right here, into the Odds and Ends of Pull This Off! These little tidbits are the focus of today's buzzed-about pop culture scene, and we want to discuss with YOU what's going on in our crazy world. So go ahead, reach into our bag of odds and ends and pull out whatever suits your fancy. The world is your oyster. When browsing the web this past week, I couldn't help but furrowing my brow at the hairy situation I stumbled upon. Plastered across my Instagram and Twitter feed was an image of no one other than...well, I couldn't figure who it was. The mysterious individual who was raunchily trying to lick me from behind my own iPhone screen seemed to lack a necessary pair of eyebrows. Was it an extraterrestrial? Was it Yo-Landi Vi$$er? 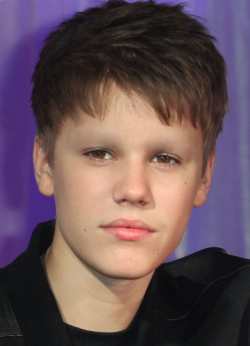 I even questioned myself that it could be Justin Bieber. Alas, upon closer look and a close examination of the comment feeds, I was unexpectedly alarmed/surprised/satisfied/reassured to discover that the alleged eyebrow-less creature was indeed the ubiquitous Miley Cyrus. Known and loved for her startling antics, it seemed that the now twenty-one-year-old mastermind had either bleached her eyebrows to match her short, white-blonde 'do, or covered her caterpillars up with makeup to create the illusion that she simply shaved her brows. Upon further research, I discovered that she had done the latter. In my opinion, I loved the look. It was different, unexpected, and not necessarily attractive in the eyes of the general public. And who other then Miley could pull it off? Exactly. Making a statement with a drastic appearance change demands a reaction, and that's exactly what Cyrus received. No matter, her selfie and subsequent images of her having the best of both worlds with pals Lily Allen and now-single (ugh) Miranda Kerr caused quite a racket in the stratosphere, so I want to know what YOU think. Is it true that Miley just Can't be Tamed? 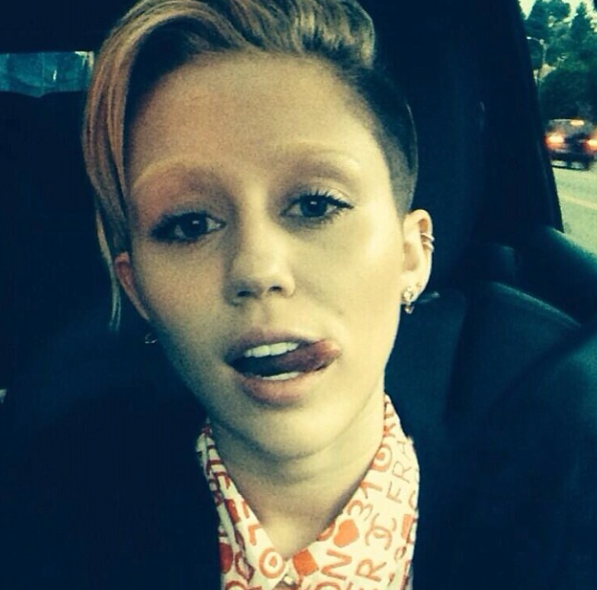 Is she really just bein' Miley? Let's Talk About It. Images sourced from Miley Cyrus' Instagram account (@mileycyrus) and Lily Allen's Instagram account (@lilyallen).